The Puerto Vallarta Tourism Board has partnered with DreamJobbing.com, and is offering one lucky individual the chance to win one of the most desirable jobs on the planet - the job of a travel writer. 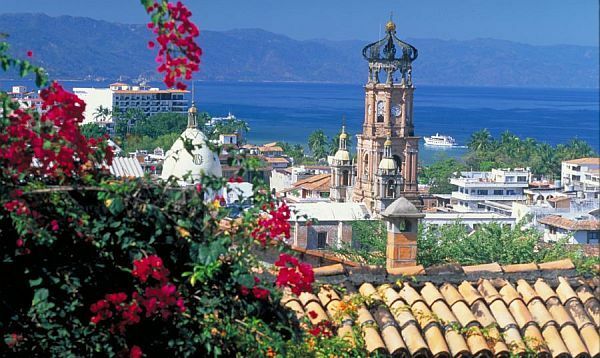 Puerto Vallarta, Mexico - A leading international destination, Puerto Vallarta, Mexico has inspired many vacationers to quit their jobs, pack up their belongings and start a brand new life "South of the Border." Over 25,000 U.S. and Canadian expats live in the city, many of whom have started new careers in a completely new field of work. Do you love to travel? Have a passion for writing? A talent for capturing perfect photographs? Do you make short travel videos where you are the host? Are you a gifted communicator with followers on a number of social media platforms? If your answer is "YES," the Puerto Vallarta Tourism Board has a once-in-a-lifetime dream job for you! Since the 1960's Puerto Vallarta has been the star of Hollywood films, photo shoots and travel articles - and now the Puerto Vallarta Tourism Board is offering one lucky individual the chance to win one of the most desirable jobs on the planet - the job of a travel writer. PV's Tourism Board has partnered with DreamJobbing.com to find an aspirational individual who loves to travel, can write, blog, run a social media campaign, create video and find placement in different platforms. A business-minded person interested in sharing the natural beauty, people, culture, adventure and luxury found in and around Puerto Vallarta with the world. The winner will enjoy an all-expenses-paid trip to Puerto Vallarta for 8 days and 7 nights (Nov. 10-17 2016) to explore one of Mexico's most enticing coastal destinations... to capture the magic of Vallarta's tropical beaches, jungled mountains, festive culture, delicious food and charming locals through words and images. Applications must be submitted by September 19, 2016, so don't delay - apply TODAY!